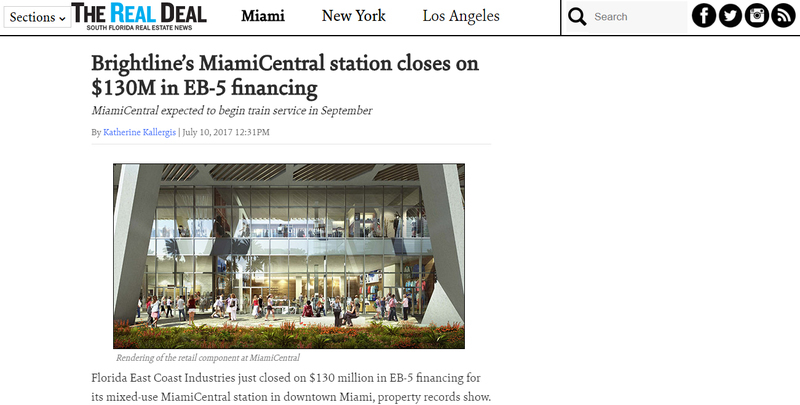 Florida East Coast Industries just closed on $130 million in EB-5 financing for its mixed-use MiamiCentral station in downtown Miami, property records show. FECI affiliate DTS DT Retail LLC withdrew $85 million of the loan from CanAm Florida Regional Center. It’s the first project CanAm’s EB-5 center is financing, according to the regional center’s website. In Miami, major projects like Jeff Berkowitz’s SkyRise Miami are Paramount Miami Worldcenter pursuing EB-5 investors as traditional financing becomes more challenging to secure.